Serena Williams and Mirjana Lucic-Baroni reach semi finals Australian Open 2017. 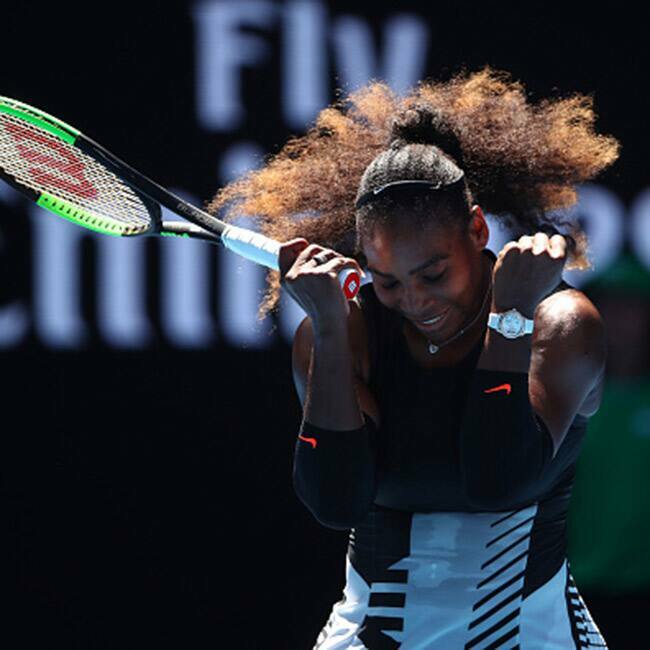 Serena Williams of the Unites States celebrates winning her quarterfinal match against Johanna Konta of Great Britain on day 10 of the 2017 Australian Open at Melbourne Park. Tennis star Serena Williams outplayed Britain's Johanna Konta to reach the Australian Open semi-finals. Mirjana Lucic-Baroni of Croatia celebrates winning her quarterfinal match (6-4, 3-6, 6-4) against Karolina Pliskova of the Czech Republic on day 10 of Australian Open 2017at Melbourne Park. Mirjan Lucic-Baroni will play against the six-time Open champion Serena Williams in semi finals of Australian Open 2017.